Woman outsmarts thief, steals back stolen bicycle - after he pays for improvements on it. 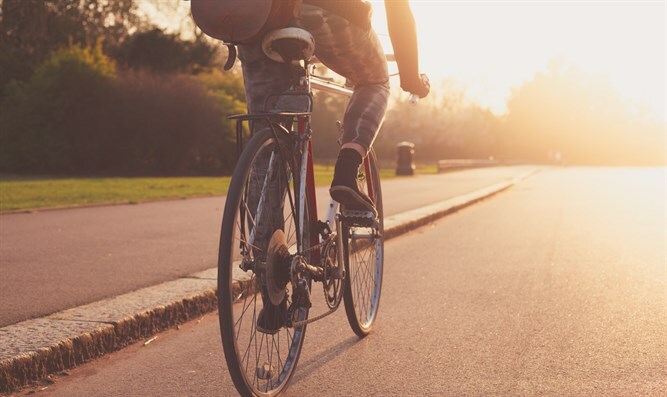 A British woman who lost her bicycle to a thief managed to recover her property – without the help of police. When Jenni Morton-Humphreys, 30, discovered recently that her bike had been stolen, she concocted a plan for retrieving the bicycle with the help of social media and a bit of daring. Refusing to accept the loss of her bike, Morton-Humphreys turned to Facebook, posting pictures of her lost bicycle with a request that friends search for advertisements of used bikes in the area. Her online appeal spread, and eventually one social media user located a newly listed used bike up for sale which matched the images Morton-Humphreys had uploaded. Morton-Humphreys turned to local police to assist her in a sting operation to get back her stolen bicycle and arrest the thief. After police turned her down, however, and advised her not to carry out her plan, Morton-Humphreys decided to go it alone. Responding to the thief’s advertisement for the bike and feigning interest in purchasing the bike, Morton-Humphreys set up a meeting with the thief. At the meeting, Morton-Humphreys expressed interest in purchasing the bicycle, but requested a test-ride. The thief/seller agreed – only to watch Morton-Humphreys pedal away and never return. “I pretended to be interested and asked silly questions about the bike,” Morton-Humphreys told the Bristol Post. “I said the saddle was too high, and asked if I could get on it to test it out." After she recovered the bicycle, Morton-Humphreys discovered that the thief had made improvements on it, including fixing a broken front light.